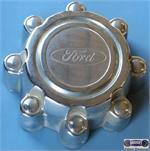 1571/3026A-R, CENTER CAP, REAR USED, CHROME FINISH, 5 LUG HOLES, SCREW ON TYPE. 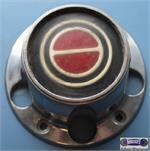 CLOSED WITH BLACK & RED WITH CHROME FORD LOGO, CAP 3-1/2". 3" HUB & 7"
3513a, Used Rims, 16X7-1/2, 5 LUG, 108MM, 03-05, LINCOLN, LS, CHROME, 11 SPOKE. 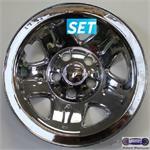 71192a, USED RIM, 16X6-1/2, 4 LUG, 100MM, 07-11, MINI COOPER, CLUBMAN, ALUM, 5 SPOKE, STAR DESIGN, CLOSED SPOKE, SILVER.